Existing home sales are currently at an annual pace of 5.22 million, which is up 1.4% over last month. This reverses the six-month trend of dips in sales every month. 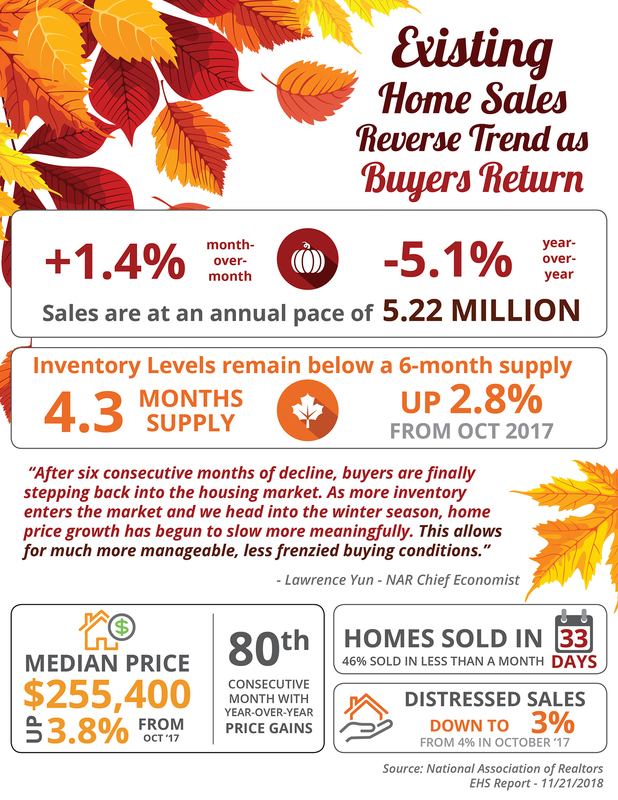 The inventory of existing homes is still below the 6-month supply needed for a normal market and is now at a 4.3-month supply.